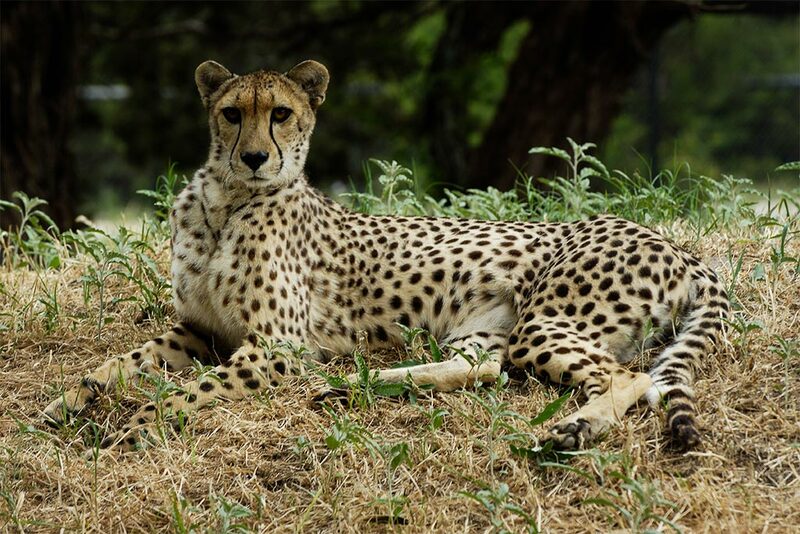 The sleek cheetah is built for speed and can accelerate from 0-60 mph in seconds. However, it can run only 600 yards before it is exhausted. 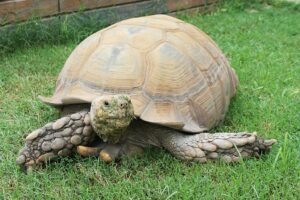 The oversized nostrils, flexible spine, enlarged heart and increased lung capacity make it the swiftest hunter on land. Blunt, semi retractable claws grip the ground like cleats for traction, and the long muscular tail acts as a stabilizer, or rudder, during a chase. 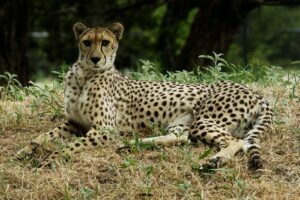 A cheetah’s stride is about the same as that of a racehorse running at 43 mph. 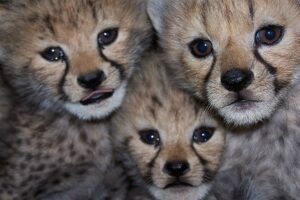 Cheetahs are completely airborne almost half their running time. Prey is hit from behind with a downward stroke of the forepaw. The cheetah lunges for the throat and secures a grip on the windpipe. 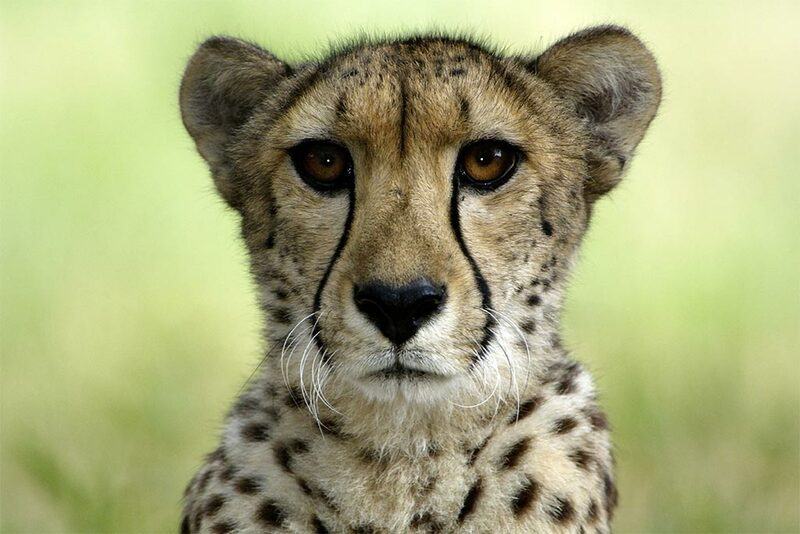 Small canines only penetrate a short distance, but its skull is designed to give the cheetah a viselike grip. Even with all these adaptations, only about half of chases for prey are successful. Cheetah will only eat freshly killed meat and lose many kills to larger predators such as lions and hyenas. 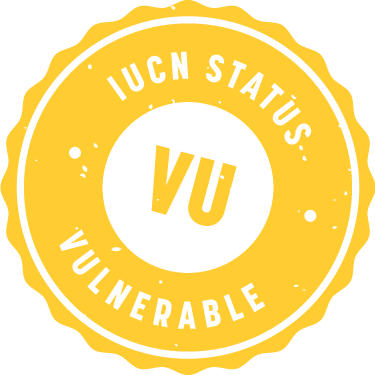 These predators will also kill cheetah cubs and account for an extremely high percentage of cub mortality in the wild. 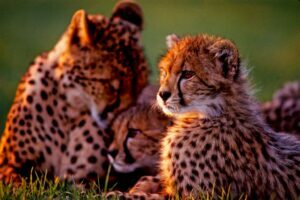 Female cheetahs without cubs live a solitary life with large territories, which often overlap with related adult females. 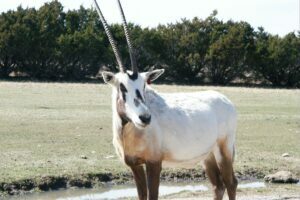 Males and females come together only during breeding episodes that can take place any time during the year. 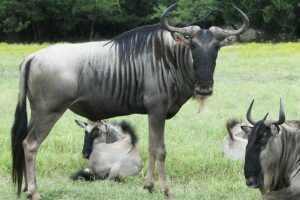 The male plays no part in rearing offspring. 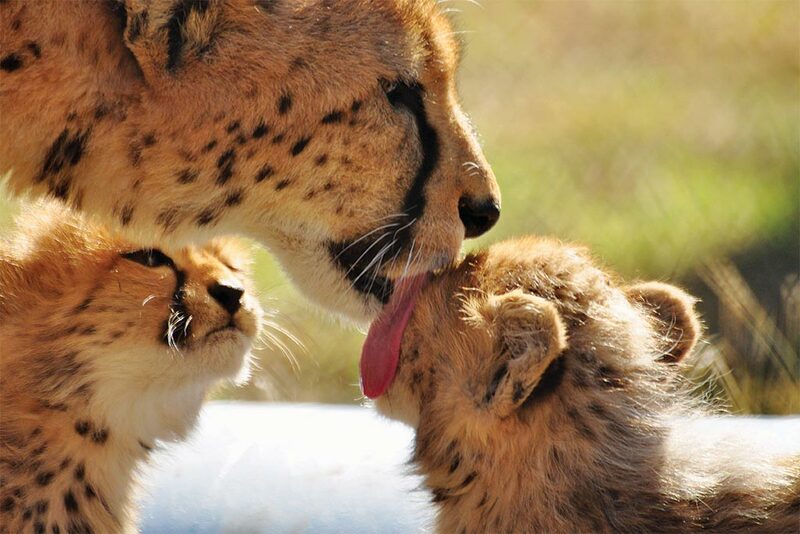 A cheetah mother will keep her litter for about 1.5 years, teaching them to hunt and care for themselves. The males will then disperse together and usually live as a coalition for life. Female offspring leave separately to find and establish their own home range. 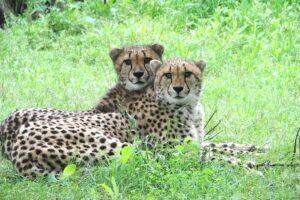 Communication among cheetah is achieved with a series of purrs, growls, chirps and hisses. A non-roaring cat, the cheetah can sound exactly like a bird – especially when young. 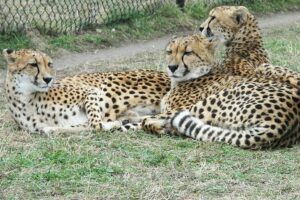 Fossil Rim has played an important role in the conservation of cheetahs since 1986 when the first litter of babies was born. As of 2018, more than 195 cubs have been born in our Cheetah Breeding Program. 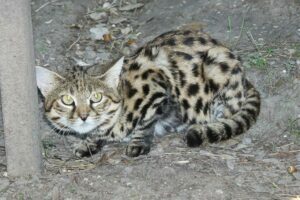 Breeding success has been historically difficult in the captive population. 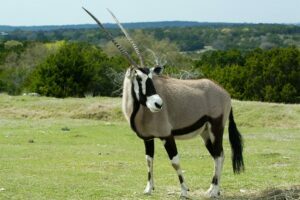 Fossil Rim has diligently worked to provide a comfortable, stimulating living environment, multiple mate choices (especially important for cheetah females), a varied diet, large enclosures and the least amount of stress possible. 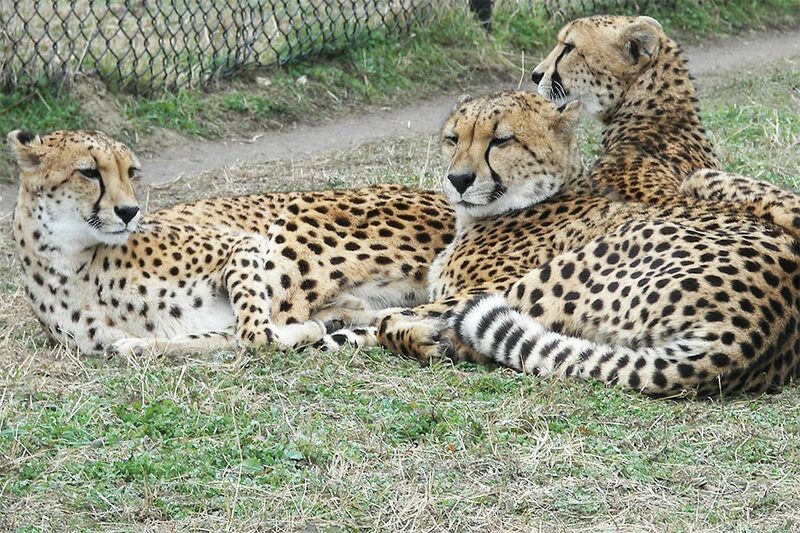 Fossil Rim has two cheetah areas that combined can house about 25 cats. 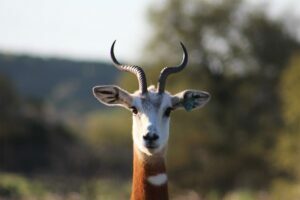 One area is located on the Scenic Wildlife Drive and the other is in the Intensive Management Area, which is accessible only on a Behind-the-Scenes Tour.